Many architects & builders aspire to design your home to fit your life. At Jenkins Custom Homes, it’s more than an aspiration. It’s a science. Our unique process guides you through a series of questions which bring out information that you probably never thought of or maybe never thought to mention to anyone. This information, then, allows us to build a home around every aspect of how you’ll live in your new home. Ours is a significantly more in-depth process than most, going well beyond style and paint colors. We work with you to examine each area of your home: how you entertain, the types of visitors you have, flow of traffic, hobbies, how and where you eat, how and where you work in the home, how your kids and grandkids play and interact. We also look at the shape and topography of the homesite to maximize views, account for slope and maximize space and natural features. We consider the sun and wind direction, especially during the most relevant months of the year. We also analyze how the outdoor and indoor can best be blended to give the family the most quality time together while still working for those dinner parties and extended family gatherings. We like to say that it’s a puzzle that has many pieces, and all of them have to be discovered and considered to form the perfect finished design. One of our clients had their daughter’s wedding in their home just months after we completed it. 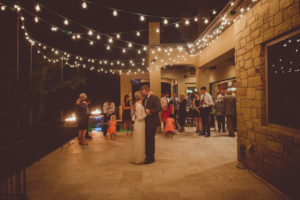 We designed this back porch for her first dance. The process starts with an interactive interview in which Jenkins asks detailed questions, and then carefully listens to what you say. We drill down and ask more questions when needed so that we can really understand your goals and ideas, not just from a perspective of “what” you want but also from a perspective of why you want it. Only then can we evaluate each answer to determine the scope, priority, and best way to achieve your objectives for the spaces in the home. We make sure you get what’s most important to you,while staying true to the style of the home and, of course, your budget. Finally, we prepare a Character Study, or rendering and floor plan of your home, with a detailed cost breakdown. Our copyrighted Lifestyle Analysis is our secret weapon to designing a home that really works for families for the long term, and is the reason our clients tell us that their home is perfect, every time.